Hydraulic core drilling is Ace Cutting and Coring’s specialty. 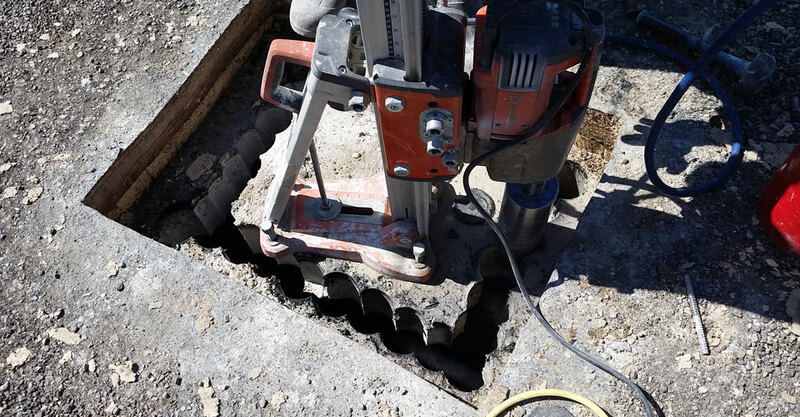 Core drilling is necessary to allow new access conduits to be run through concrete. It’s needed for almost all concrete buildings at some point. In all projects, the process of core drilling is similar but it can still be customized. You’re able to choose the size of drill bit you’d like to be mounted for your project. If we don’t have one in stock, we’ll make it for you. Diamond bit core drillers are expensive pieces of equipment and require extensive training to use. An inexperienced operator can easily not know what they’re getting into and ruin a project or drill. There’s a lot of knowledge, equipment, and training required to use a core driller and even more experience required to complete complex or unique projects. Here at Ace Cutting and Coring, we’ve been doing this for over 40 years. We’re dedicated to offering you the best service at the best prices. If you’re in need of core drilling services or would like more information, contact us today!